As we prepare for the upcoming hurricane season, we want our members to be prepared. And we are here to help make sure you know where to start. During this season, we want you to be prepared. Although we are hoping for a hurricane-free season, we want our members to be prepared. Here you will find downloadable checklists and many services offered at Education First that will prevent further stress in the event of a hurricane evacuation. Download this checklist that helps you list all of your household items for potential insurance needs. Download an app like the Liberty Insurance Mutual App or the Allstate App which helps you create a home inventory via your smartphone. FEMA Emergency Supply List: Download this checklist to ensure you and your family are prepared with the essentials. FEMA Business Emergency Supply List: If you are a business owner, download this checklist for recommended emergency supplies to keep at your business. FEMA Disability Emergency Supply List: If you or someone you know has a disability, download this checklist to ensure you have all necessary items needed to help assist those who have disabilities. Direct Deposit: If you have set up a direct deposit into your Education First account, your funds will be accessible even if you have evacuated. Direct deposit eliminates the possibility of checks being lost, misplaced, or stolen. 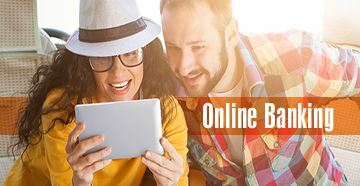 Online Banking: Online Banking allows you to access and manage your funds as long as you are anywhere with an internet connection. Click here to learn more about Online Banking. e-Bill Pay: No need for stamps, envelopes, or trips to the post office. You can pay all your bills in just a few minutes using e-Bill pay. To sign up for e-Bill pay, log into Online Banking, go to the Pay Bills folder and click on the Your Bill Pay Setup. You will be prompted to apply for Education First's eBill Pay service. Touch-Tone Teller: If phone systems are functional, you can call our Touch-Tone teller line. This is a simple and convenient way to access funds. Call 409.898.7222 or 800.765.3770. Click here for more information about our Touch-Tone Teller line. Debit Card: Use your Education First debit card anywhere that accepts Visa. Since local daily limits could be lowered during a disaster, be sure to have enough cash on hand. Credit Card: Do not deplete your cash. Emergency expenditures could be more than you anticipate. Click here to apply for an Education First credit card. Mobile Banking App: Download the Education First App to access your account through your smartphone. Download the App for Iphone or Android. CardValet: The CardValet app allows you to connect your Education First debit card and receive alerts when your card is used, turn your card "off" when it is misplaced or stolen and "on" when you are ready to use it. CardValet also allows you to limit your card's usage. Download the app for Iphone or Android. Co-Op Shared Branching Network: Education First belongs to the CO-OP Shared Branching Network which means you can access your accounts from thousands of locations across the nation, Puerto Rico, Guam, and military bases around the world. Click here to access the Shared Branch Network locations. If You Don't Have an Emergency Fund - You Should.